Ex Vivo Correction of HT1 | Yecuris FRG: humanized animals and human hepatocytes platform for your next great discovery. Hum Gene Ther. 2018 Nov;29(11):1315-1326. doi: 10.1089/hum.2017.252. Hereditary tyrosinemia type 1 (HT1) is an autosomal recessive disorder caused bydeficiency of fumarylacetoacetate hydrolase (FAH). It has been previously shown that ex vivo hepatocyte-directed gene therapy using an integrating lentiviral vector to replace the defective Fah gene can cure liver disease in small and large animal models of HT1. In this study, we hypothesized that ex vivo hepatocyte-directed gene editing using CRISPR-Cas9 could be used to correct a mouse model of HT1, in which a single point mutation results in loss of FAH function. To achieve high transduction efficiencies of primary hepatocytes, we utilized a lentiviral vector to deliver both the Streptococcus pyogenes Cas9 nuclease and target guide RNA (LV-Cas9), and an adeno-associated viral vector to deliver a 1.2kb homology template (AAV-HT). 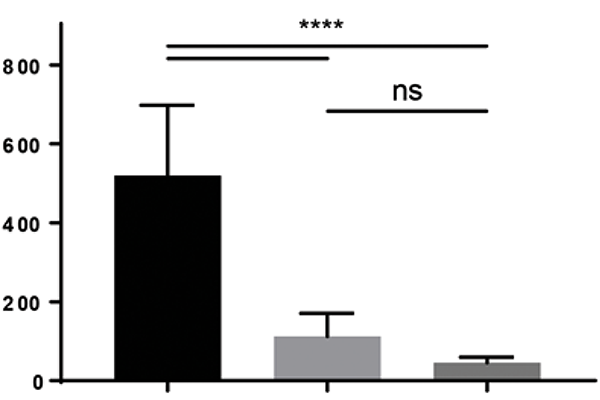 Cells were isolated from Fah-/- mice and cultured in the presence of LV and AAV vectors. Transduction of cells with LV-Cas9 induced significant indels at the target locus, and correction of the point mutation in Fah-/- cells ex vivo using AAV-HT was completely dependent on LV-Cas9. Next, hepatocytes transduced ex vivo by LV-Cas9 and AAV-HT were transplanted into syngeneic Fah-/- mice that had undergone a two-thirds partial hepatectomy or sham hepatectomy. Mice were cycled on/off the protective drug NTBC to stimulate expansion of corrected cells. All transplanted mice became weight stable off NTBC; however, a significant improvement was observed in weight stability off NTBC in animals that received partial hepatectomy. After six months, mice were euthanized and thorough biochemical and histological examinations performed. Biochemical markers of liver injury were significantly improved over non-transplanted controls. Histological examination of mice revealed normal tissue architecture, while immunohistochemistry showed robust repopulation of recipient animals with FAH+ cells. In summary, this is the first report of ex vivo hepatocyte-directed gene repair using CRISPR-Cas9 to demonstrate curative therapy in an animal model of liver disease.